Pikuniku shows that not much is needed to have a great experience. It is curious to see Pikuniku as a spectator or in promotional materials. From that Return Digital and Sectordub began to show the world a while ago, I couldn’t stop thinking that it was perhaps too simple. A character of red color and cylindrical shape with only eyes and legs leaping to and fro, without showing too many expressions or a long range of movements. Everything that came with the game looked similar, but bit by bit I found the true charm, seeing new characters and discovering that, for some reason, people often call the main character “the beast”, which is kind of funny with your appearance. But there was something in particular that struck me above all: it is presented as a platform game with many breaks, yes, but also the ability to kick everybody in our way and thus resolve problems in the village. It is a simple premise but you don’t need more than that, always and when we meet with some interesting moments and a story bearable. Fortunately Pikuniku has this and more. The history places us in a town with a constant stream of visitors of a company millionaire, which appeared one day with the premise of offering a special service: they only want to use their machines to lift the garbage of the place, and to change, make it rain free money for all. Or at least that is what they say in their marketing campaigns. But it sounds too good to be true, isn’t it? The reality could not be more different. The money is there on each visit and the villagers are happy for it, but the problem is what the company considers “trash.” It didn’t take long to find that it has stopped producing food because the harvest is carried by the machines, and the local forest is constantly attacked with all the trees being cut down slowly. The company always pays, but it is clear that the price is higher than a couple of coins. The simplicity is there, but thanks to the script being fun and even fresh makes it fun to interact with and help all. And in parallel during Pikuniku we have the story of “the beast”, which arises out of an urban legend with no evidence of through more than rumors and speculation. When we become present in the village people are surprised by the image completely out of the hostile seemed to appear, and is there when the stories are connected. There are many characters that speak in the village, who we go offering side quests in exchange for money or trophies, all along the main story that gradually opens more paths to follow. Pateamos obstacles, we choose options in dialogs, fix a bridge with the help of a spider, and more. The simplicity is there, but thanks to the script being fun and even fresh makes it fun to interact with and help all. Pikuniku is hilarious and more than once I pulled out a belly laugh. We started coming out of a cave with the help of a ghost giving us words of encouragement, who refers to The Legend of Zelda with “it’s dangerous to go alone, take this”, only that instead of an object offers us his unconditional support because “after all, I’m just a ghost”. There is even a sport in which we have to jump and kick a ball as if it were a basketball game of one-on-one. What I mentioned to the secret door under the town that can only be open with three apples? 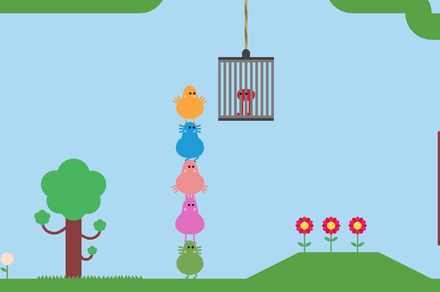 Pikuniku is hilarious and more than once I pulled out a belly laugh. It is a naive humor that is not usually see much between so many games wanting to be ever more serious or realistic, and are grateful to have you so present. Another interesting aspect is the of the hats, as the star character can use them to solve some puzzles. Without spoilear much, the first allowed us to help a painter to create a new face for a scarecrow, since you were using was not emerging effect. So, the character took a pencil, and using the touch screen on the Nintendo Switch we create our own illustration to change the facade of the scarecrow. Moments like that are the ones that produce smiles given out of the common that is all. 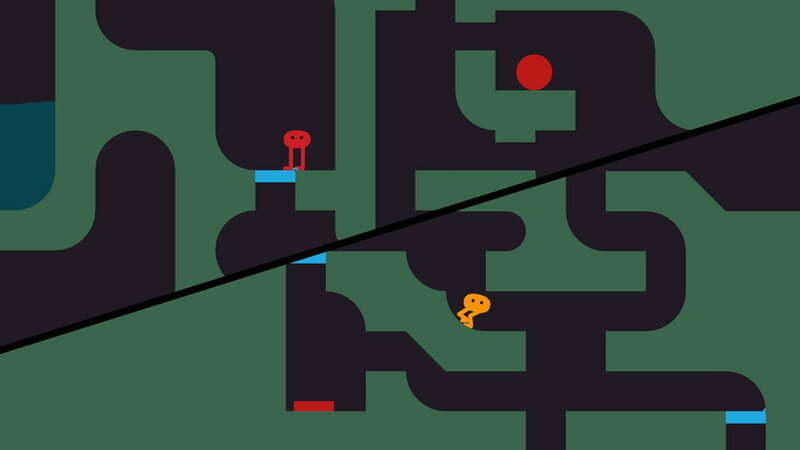 In addition to the main story there is a cooperative multiplayer mode local, in which two characters must traverse a series of levels again by kicking and jumping to solutions. There are sections of races that make it very fun, generating a competition brief, but that is perfect for breaking the ice, and the levels are becoming more difficult over time, requiring coordination and find the objects you need to use certain platforms. The bad thing is that there is no story to follow, or objectives to complete. Once we finished the level it just goes back to start from the first, and it feels like a missed opportunity given to the polishing that is the main mode. It never ceases to be fun, but there was potential for much more. The cooperative multiplayer mode local. It is an experience that comes into a category very particular, which, luckily, each time it stops to be so exclusive to the public thanks to the independent games. There are many details, winks, and candid moments that shine to Pikuniku. And it is again a proof that a good presentation does not require complex systems or a graphic engine that leave us speechless, but to carry out an idea that is really interesting regardless of the amount of tools needed. Among many games AAA during January and all that will come this year, titles such as Pikuniku offer a break between shooters and action games. And I really hope you have more experiences as well, shining by its simplicity and without to extend their stay longer than necessary. If the elements are correct, the result is achieved by itself. I am pleased to be able to live experiences like this, and so it only remains to wait if the developers will continue to expand this universe in the future.